Please join the Art Therapy Institute as we celebrate and honor another great year of working with refugees and immigrants in our local schools, resettlement agencies, and health centers. This art show will feature artwork and stories by over 200 refugee and immigrant women and children living in Orange, Durham, & Guilford Counties, from over 20 countries worldwide. This free event is a part of the Carrboro/Chapel Hill 2nd Friday ArtWalk. 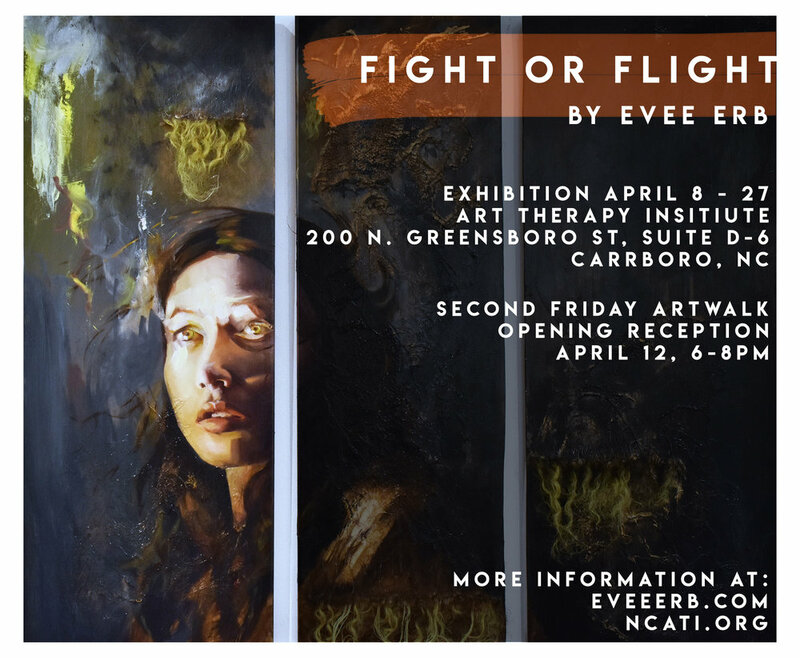 Please join us for the 2nd Friday ArtWalk opening reception for artist Evee Erb. 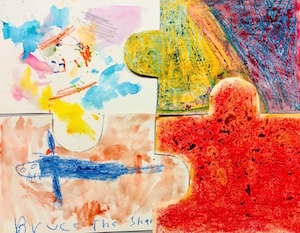 If you are interested in learning more about the work we do in the Exceptional Children's Art Therapy Program, we will be hosting a workshop and gallery walk through Thursday, March 7, 2019 from 6:30-8:30 pm. Learn more here. Please join us for the 2nd Friday ArtWalk opening reception for artist Fabrizio Bianchi. Fabrizio has been painting for over 30 years, using abstract expressionism, representational and pop imagery on mixed media as his recurring themes and subject matter. Fabrizio received his Bachelor’s Degree from East Carolina and his Master’s Degree from the University of New Mexico. 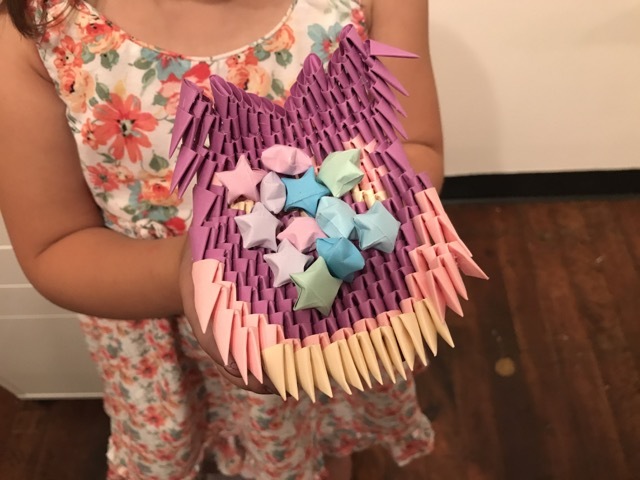 His work has been displayed in several venues across the Triangle including the Durham Art Guild, Golden Belt, Carrack Modern, Vega Metals Gallery, Visual Art Exchange, Carrboro ArtsCenter, and Lee Hansley Gallery. Please join us for the 2nd Friday ArtWalk opening reception for artist Aramis Collazo Sandoval. Aramis Collazo Sandoval is a student at Chapel Hill High School. 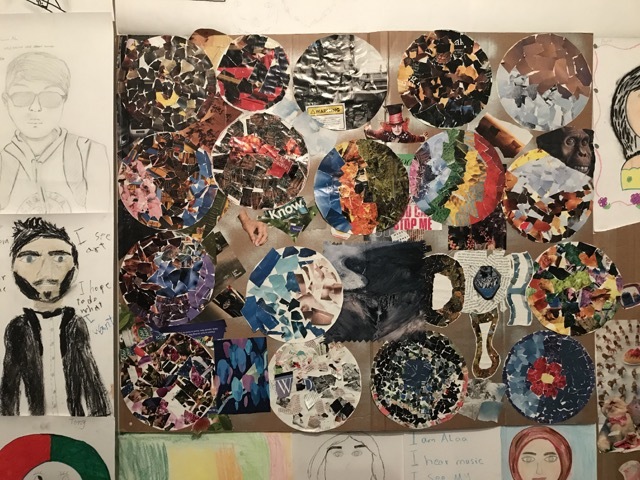 She has attended art therapy since June of 2017 to reduce stress and to have a place to discuss and look for solutions to problems that she has been facing while finding creative expression through art. 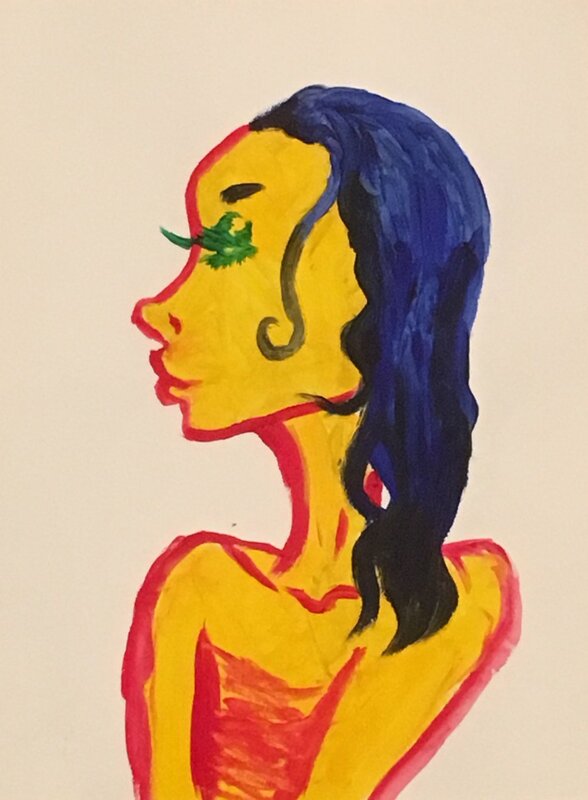 “ I just start painting or drawing, without a plan, while talking about what is going on in my life.” She chose to leave all of her artwork untitled. Her artwork speaks for itself. Please join us for the 2nd Friday ArtWalk opening reception for an extra special art show -- featuring work by interpreters, ATI staff, board members, clinicians, and interns! Our clients so often put their brave on and share themselves with us and the greater community, so we thought it was time for us to do the same. This show will be a great complement to the "Ask an Art Therapist Workshop" to be held the evening before, 12/13 6:30-8:30PM. 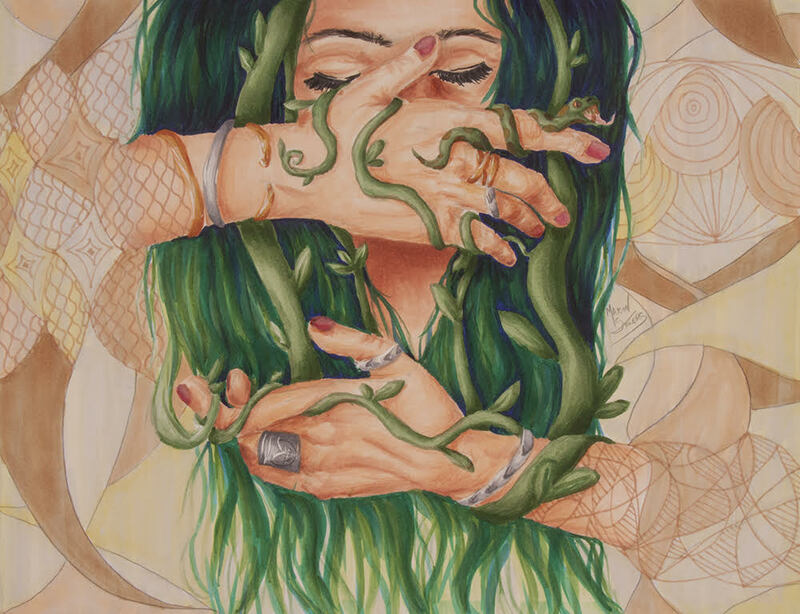 Please join us for the 2nd Friday ArtWalk opening reception for artist Mayson Stowers whose work centers on symbolic self-portraiture and self-reflection, presented in a way that audiences can relate to and find comfort in. Please join us for the 2nd Friday ArtWalk opening reception for artist Brady Clay Kleaveland who works primarily with graphite and colored pencils. Artist Statement: Brady Clay Kleaveland is educating the public about lighter-than-air flying machines, one of his favorite interests. He knows that everyone knows about hot air balloons, so he intends to do a show on lesser known lighter-than-air flying machines such as airships and gas balloons. He will be showing illustrations of and showing factsheets about these awesome machines. The Newcomer Art Therapy Program is funded in part by the Longleaf Foundation. ATI greatly appreciates their support! 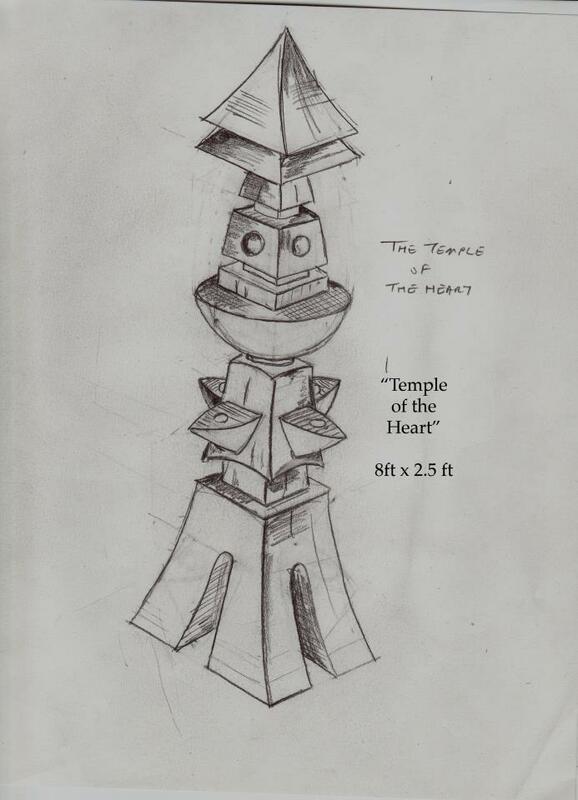 Opening reception for Tripp Jarvis: Sculptor and Resident Artist at Liberty Arts Sculpture Studio and Foundry and Amanda Sampson: Architectural and Lifestyle Photographer.